I’m in London for the Monthly Open Meeting of the Royal Astronomical Society, followed by dinner with the Club. 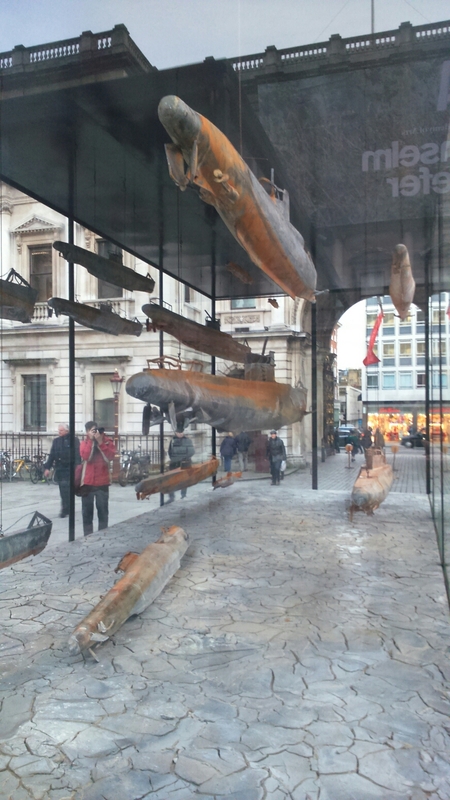 I just popped into the courtyard of Burlington House in front of the Royal Academy of Arts to see what was going on, and I found this giant fish tank full of tiny rusty submarines. Not sure what it represents but at least It makes a change! It’s part of an exhibition by Anselm Kiefer, apparently.